IT’S a name synonymous with motor racing, Brock. And this time, it’s the son of the legendary Peter Brock, who is celebrating victory with MG Motorsport Australia in the 2018 Australian Production Car Championship. James Brock took out Class E in the Jacuzzi Spas backed series, following the MG Motorsport team’s podium finish at the last race of season, a gruelling six-hour endurance race held at Victoria’s Phillip Island Circuit. 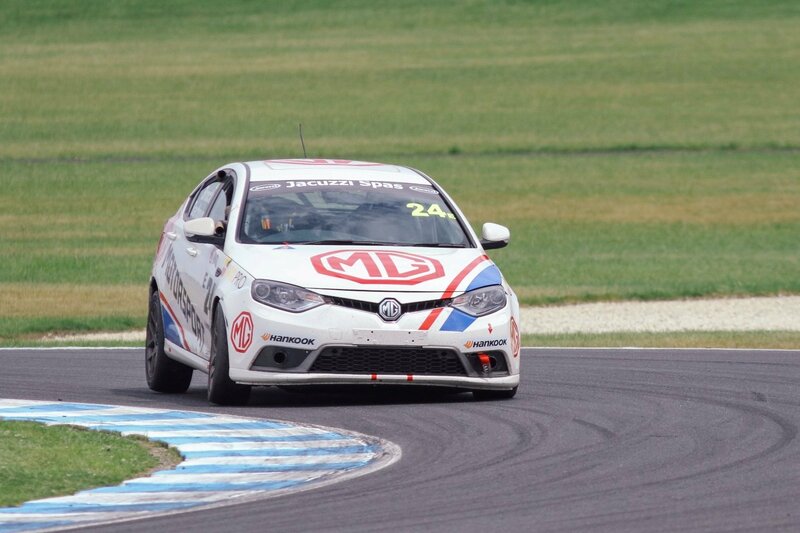 The team’s inaugural season saw Brock Race Engineering and MG Motor Australia join forces to create MG Motorsport Australia and contest the full season with the race-proven MG6 PLUS sports sedan. Brock Race Engineering team owner James Brock, continues the racing legacy started by his father, with James leading the MG Motorsport Australia team both off the track, and behind the wheel as lead driver, alongside co-driver, Elliot Barbour. “It’s been a really great season, the Australian Production Car series has been super fun [and] it has really been an honour and a privilege to be able to represent a cool brand like MG and bring them back to motor sport,” Brock said. MG Motor Australia’s Marketing Director, Danny Lenartic said the company was passionate about its racing heritage, as well as the opportunity working with James gave them to showcase the MG6 PLUS. “We’re delighted to end the season on such a high,” he said. AS it propels itself towards an electric future, INFINITI is set to reveal a new 420kW dual-hybrid Project Black S prototype with a Formula One power train at the Paris Motor Show on October 1.